Hitting the newsstands today, the article confronts NASA’s current problem-Without new technology to replace the space shuttle or a clear plan for manned space travels, what is the future for NASA and space exploration in general? 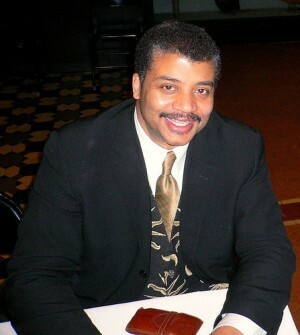 Neil deGrasse Tyson also recently published a book, “Space Travels: Facing the Ultimate Frontier.” Tyson hones in on, in particular, American politics and the lack of funding, resources, and current transitional period for American space exploration as the situations that have caused the current predicament for NASA. The news is not all bad though claims Tyson. With the current situation with NASA, other private sectors have hopped on board to pick the pieces up. “What’s going on here is the private sector is being encouraged-something, by the way, that should have happened decades ago-to actively participate in access to low-Earth orbit,” Tyson told PopSci.com. With NASA’s crisis, the US wants to stay on top, but Tyson, in his article, agrees cooperation amongst international space programs will be absolutely necessary for the continuation of space exploration.